If you’ve had your entry-level DSLR camera for a while, you might be wondering if it’s time for the next step. The price difference between entry-level cameras and mid-level DSLRs can be pretty substantial, so it’s worth researching and considering your decision closely before spending the money. This isn’t very helpful, and it’s actually a bit condescending. Nearly every serious photographer will upgrade their camera at some point. These statements are rooted in some good ideas that should play into this kind of decision, however. So let’s take a closer look at what they mean. In those cases, it’s best to really assess what you want and what you’re willing to put into photography. Shooting DSLR isn’t easy, and it takes dedication and time to learn. If you have hopes that a more expensive camera will be easier and automatically elevate you as a photographer… well, we hate to break it to you, but it won’t. Similarly, if you haven’t considered equipment besides what came in the box, you’re missing out on a lot. New lenses make a world of difference in your photography, and there are a ton of options for any camera. This is very closely aligned to the “better photographer” critique we just mentioned. However, the problem with this one is that you should upgrade if you want to upgrade. And, heck, even if you fit all those bullets above and you want to upgrade your camera anyway — you go for it. Just know that your purchase might not fit your expectations. Upgrading your DSLR body can be advantageous if you are feeling limited by your entry-level camera. 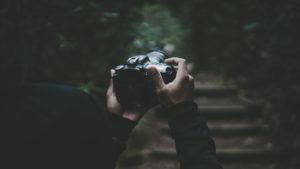 If you’ve thought it through and have come to the conclusion that you are ready to invest in a new camera body, there are a few different things you’ll want to take into consideration. If you’ve invested anything at all into your camera, you’re probably going to want to make sure your replacement can accommodate your gear. This means you’ll need to stay within the brand you started with. Lenses are specific to both brand and type of sensor, so it’ll save you a lot of time and trouble if you double check compatibility before you buy. Of course, if you are not into the brand you started with, you can obviously move to a new brand. Keep in mind, though, that you’ll have to replace your lenses, batteries, and other components that are brand-specific. If you’re planning to replace your camera, you’ve probably figured out what you don’t like about your entry-level. However, let’s take a look at what kinds of settings or specs you will want to seek out. The biggest differences between entry-level DSLRs and mid-level DSLRs are overall design quality (including weather sealing), AF, and viewfinder/controls. If you are looking for a larger sensor, you typically have to look into semi-pro level cameras. Take a look at our comprehensive guide to the best DSLR cameras to get an idea of some mid-range cameras and the features they come with. DO NOT throw it in the trash. You can sell your old DSLR body, but we recommend keeping it for backup. Sometimes entry-level DSLRs can actually do some things more expensive cameras can’t. And, they are great to have around for backup or to teach someone else how to shoot DSLR.